journey to Cusco or Puno. In this program our team is in charge of providing all the necessary facilities and requirements to ensure security and a pleasant tour. – Very early pick-up from hotel to start the excursion. 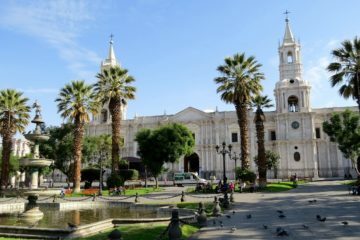 – Excursion to the Colca Canyon on private bus + visit to Alto Sumbay + coca tea + Torra. the Ampato, and the Hualca-Hualca. – Possibility of taking a bath at la Calera’s hot springs. 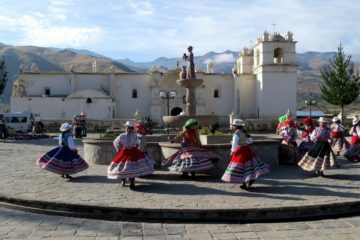 – Overnight in Chivay, Colca Valley. hand of man (Colca Canyon). 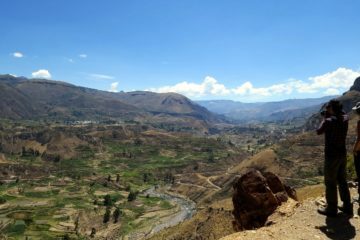 – Visit to the towns of Yanque, Maca and Pinchillo and the pre-Inca cemeteries (Hanging Tobms). 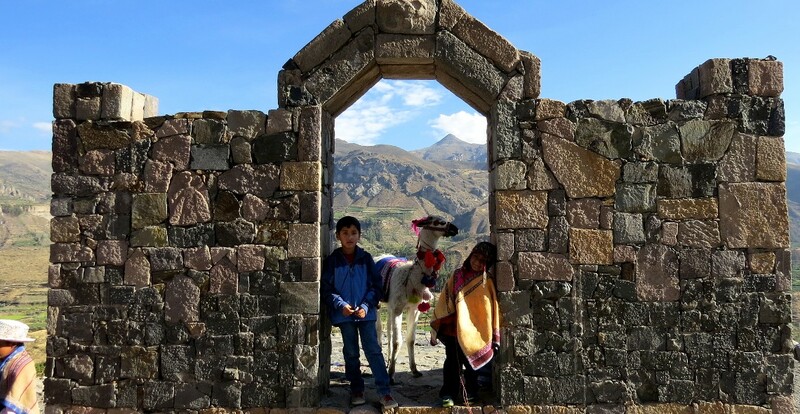 – Overnight at Chivay, Colca Valley. – We start the trip towards Puno. 3 lunches and 3 dinners.